Here is the latest newsletter, including updates on recent club activities, and an inspiring article on jasper and agates of the East Lothian coast. 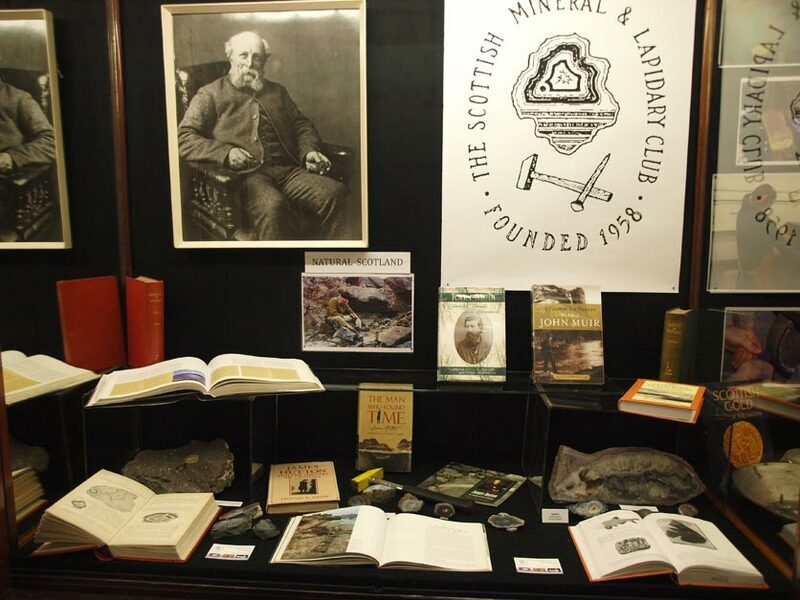 Last Year saw a display promoting the Scottish Mineral & lapidary Club in the stairwell foyer of the Edinburgh Central Library on George 4th Bridge. 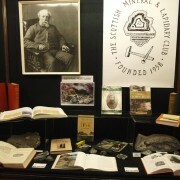 The display comprised of minerals, club specimens and members work along with a selection of books and pictures that are relevant to the work we do. We hope to have future Exhibits, with the help of the Edinburgh Central Library, so please check back for updates. 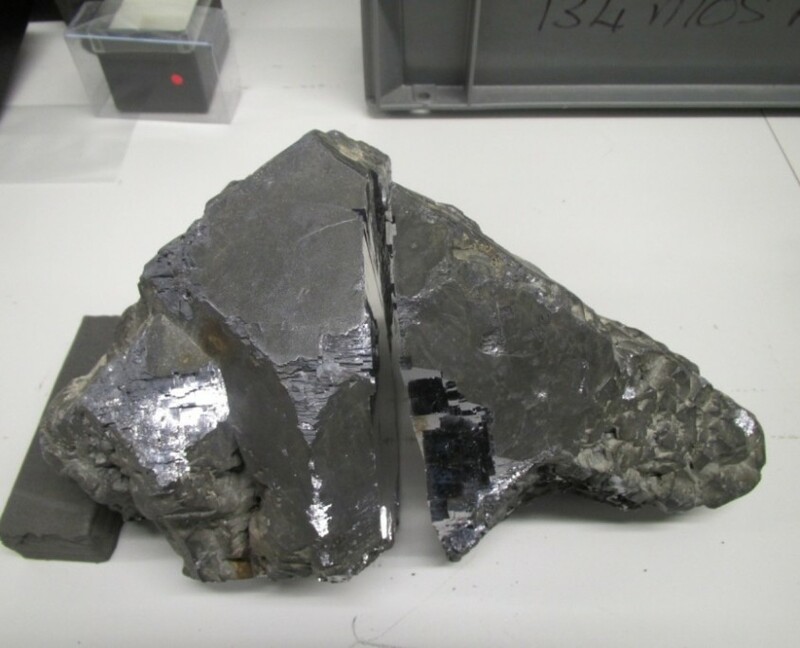 Towards the end of 2012, Brian Jackson, recently-retired curator of the National Museums of Scotland mineral collection, remarked on the large crystal specimen of galena in our display case. 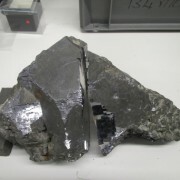 It is an unusually large crystal (14x14x14cm) which had been broken sometime in the past, exposing a bright cleaved face. Brian said that the Museum had a very similar specimen in their collection and that it would be interesting to compare the two.